William Shatner! Theremins! Daleks! Annoying child singers! Truly, this is what Christmas is all about, Charlie Brown. 18 a sonovox (a kind of '40s vocoder) version of "rudolph"
Labels: celebrities, children, Christmas, Lounge, odd pop, Outsider, Space Age/Moog/Theremin etc. I have never hit a download link so fast. Thanks! i might play it for christmas eve. ooh yes...this might come in very useful for the next show, the tracks I don't know anyway! No 'Switched on Santa' by Sy Mann though? Tyler: 5 minutes after posting - you're good! And glad you like, pierre. Yep, Tim I have that Sy Mann, as well as a Moog goodie from the '70s, Joseph Byrd - A Christmas Yet To Come that I only just stumbled across in my xmas CDs box last night. Ho ho ho, I may have to stick this on something portable, and unleash it on them at work. It downloaded fine for me, too. Thank you very much! Thanks Greg. I ask because divshare keeps telling me that I have 0 views, 0 downloads. Glad they're wrong. Merry Christmas & thanks for this swell collection. I wasn't enjoying the new Christmas music this year. Too commercial. The link works ok. Box.com is a good host & they just increased the file size allowed. This is the most beautiful and amazing Christmas comp I've come across in ages. You do such great work here. Thank you for everything. That Dalek tune is nuts!! I also love the Tiny Tim jam too - thanks! 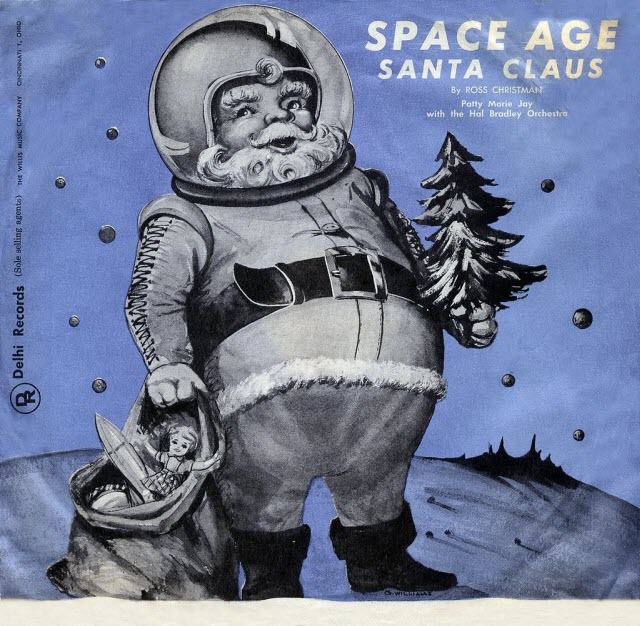 oh please santa, we'd love to get space-agey with ya! "I never hit a download link so fast!" holiday cheer is here now!! 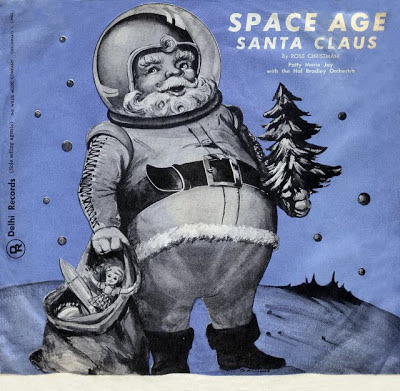 I would do anything to hear "Christmas 2001: A Space-Age Adventure" again. My children's choir at church performed this in December of '79. You said you digitized it... Is it something I could hear? Incredibly, I kept the files. I'll post it soon. I just started a "Weird Christmas" podcast to go with my site weirdchristmas.com, and it's about weird Christmas music. And so many of these are new to me. Theres a site called weirdchristmas.com?? Dang, i will be ho ho hopping over there, pronto.